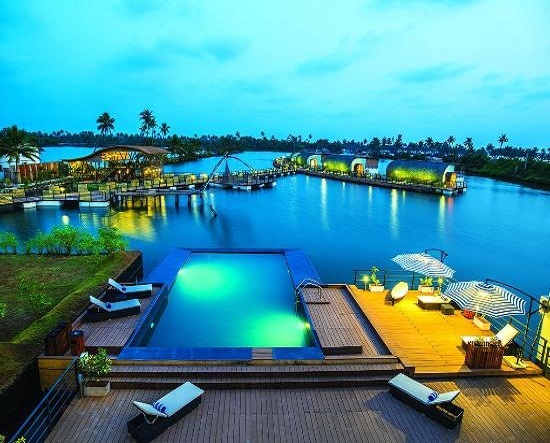 Arrive at COCHIN International Airport – Meet on arrival and transfer to a floating resort in the country side – Rest of the day free to relax- Dinner and overnight stay in resort. After an early light breakfast check out at 6am and transfer to Malayatoor [50kms ]-Arrive at 7:30am for a sumptuous breakfast – At 8am we start the programme in front of the famous St. Thomas Catholic church , passing through the Rubber plantation and Oil Palm plantation to reach Vazhachal , the place of the largest waterfall in kerala. Rest a while near the falls where refreshments will be provided .Later transfer to Valpara [ 8okms] by vehicle through the most beautiful winding tracks passing through thick forest. Arrive in Valparai a tea plantation town at an altitude of 3500ft above sea level , for Lunch . After lunch a short 15kms route will be given through the valapara town and tea plantation- later transfer by vehicle to Sethumada[ 60kms]-Dinner and overnight stay in a beautiful coconut Farm house. Cycle route: Sethumada Farm- forest canal- Sungam- 25kms. 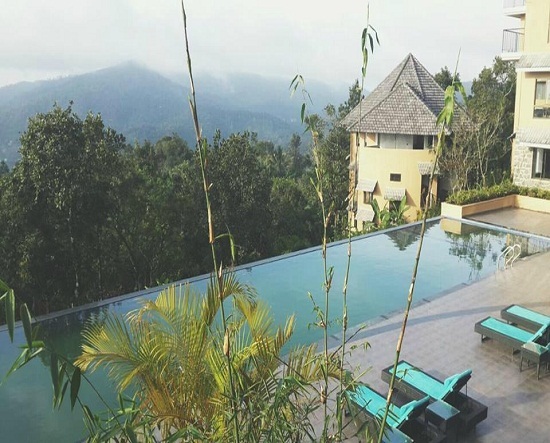 After an early bed tea , proceed for a Bird walk – later arrive at an organic farm for Breakfast – After a while cycle to Sungam through a beautiful village where nature is at its best. 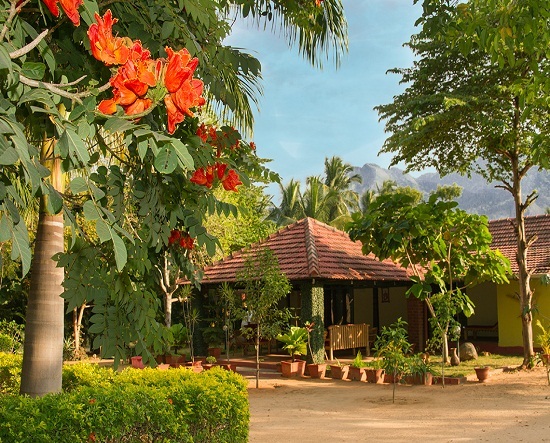 Return to resort by evening and enjoy a ride on a bullock cart through the scenic village roads. Return to Farm House for an evening of entertainment of folk dance and barbeque – Overnight in Farm House. Cycle route : Sethumadai- Chulliyar Dam-35kms and Bodipalayam – Sethumadai -25kms. After an early bed tea, cycle to Chulliyar dam through the calm and serene road – Afterbreakfast drive to Bodipalayam village to visit craftsman village and see them creating various forms of Art in the making. After spending a while there , cycle your next leg through the calm village road to reach Sethumada Farm House for late lunch – Rest of the day free to relax. Evening enjoy a wildlife documentary movie at the farm house- Dinner and overnight at Sethumadai. After early bed tea check out at 6am and drive to Sungam with packed Breakfast. After breakfast cycle to Manuppeti Checkpost which is the border of the very thick jungle. Here light refreshments will be provided. Later drive to Munnar hills – Arrive and check into a resort set amidst the nature- Rest of the day free to relax- overnight in Resort. After early breakfast , cycle from Munnar town to Top station passing through Tea plantation , Dam and Echo point. Arrive at Top station for Lunch- rest a while and return to Munnar town by road to watch LIVE performance of kerala martial Art form called KALARIPAYYATTU – a splendid show performed by trained personnels. Retun to resort by late evening for Dinner and overnight stay. 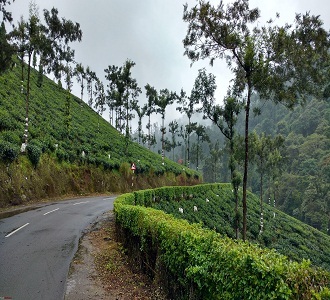 After early breakfast check out and drive to Chinnakanal – this leg will be the toughest of the entire tour ,cos, of the steep hill tarmac passing through one of the most beautiful sights of green top plants and trees on either side. Refreshment to served at the end of this leg and later board a 4 wheel drive jeep to visit KOLLUKUMALA TEA FACTORY -the highest situated privately owned tea factory in the world at an altitude of 8500ft above sea level. Here one can experience how tea is made and even taste it before buying –This journey over hilly terrain is the most exciting and adventurous . 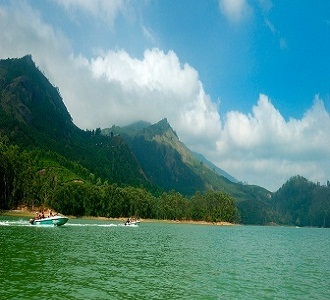 Return to foot hills for Lunch and continue the journey to Thekkady by road- enroute visit a lovely view point enroute- Arrive and check into a resort for dinner and overnight stay. 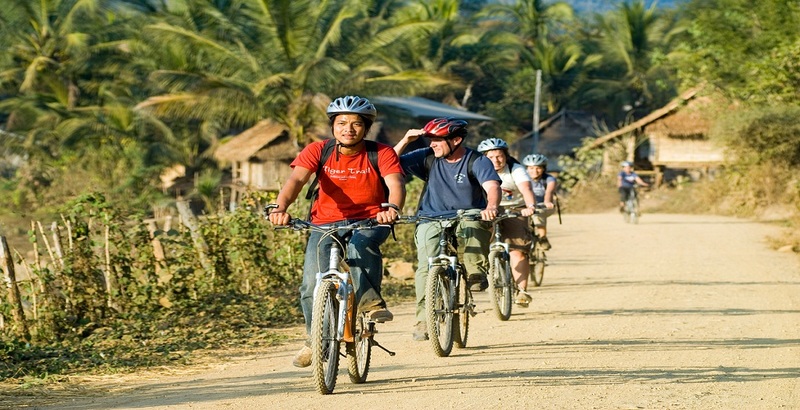 Cycle route : No cycling on this day- instead explore the beautiful nature with trek & Bamboo Rafting from 8am-5pm . After early breakfast proceed for a dawn to dusk hiking and rafting through some of the richest tracks of periyar wildlife reserve forest rich in bird life and animals. The rafting is about 3 hrs when one gets a chance to see giant squirrels, Nilgiri langur, elephants, Gaur, Sambar deer at close quarters. 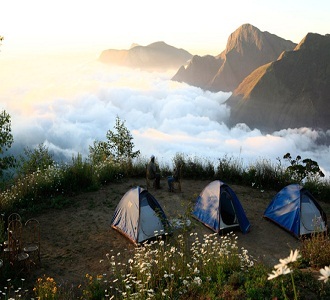 An armed guard and 4 guides will accompany a maximum 10 member team on this journey. Packed lunch, Tea, snacks will be served enroute. Retrun to resort by evening for rest, dinner and overnight stay. Afterbreakfast check out at 8am and cycle to Kuttikkanam, an upmarket resort during the British Rule. It was also a summer palace of the Travancore kings. Arrive for Lunch- later drive to Alleppey and check into a beautiful backwater resort / Hotel for rest dinner and overnight stay. After early bed tea experience the most famous Kerala Full body rejuvenating oil massage to get back your vigor and vitality after grueling 10 days of cycling tour. 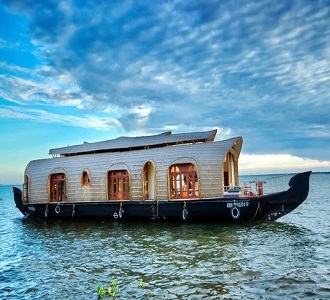 Return for breakfast -board Houseboat at 11:30am for a day cruise through the amazing and scenic backwaters while food will be served on board. Check out at 4pm and cycle through the crowded streets of alleppey , called as the venice of the East – Return to Hotel for a farewell dinner hosted by THE TRAVELLERS BANK . Afterbreakfast check out and drive to COCHIN Airport to catch flight back home. 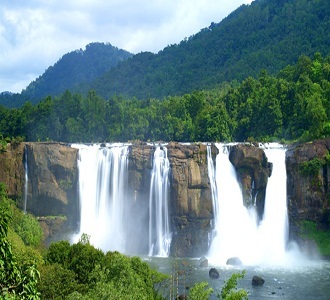 11 days Bicycle Tour through lush green surroundings, forest, tarmac , paddy fields , villages and country sides of Kerala and Tamil Nadu combined with leisure activities. Enjoy bicycle rides across Kerala. Enjoy the most famous Kerala Full body rejuvenating oil massage . 1. Accommodation on twin sharing basis in 3*/4*Hotels / resorts & Farm house on FULL BOARD. 2. Day cruise in Alleppey backwaters with Lunch, Tea and snacks. 3. Geared Bikes ,Helmet for the entire tour. 4. Accompanying 2 guides , mechanics and spares for the bikes. 5. Accompanying Aircon vehicle . 6. Pick up truck for bike transfers for 11days. 7. Entertainments and entry tickets . 1. All personal expenses like telephone calls, tips,portege etc..etc.. to pay directly. 2. All entry charges, camera charges NOT mentioned above to Pay Directly. 3. All items NOT mentioned under Inclusions. 4. Internationa/ Domestic flight tickets,if any. 50% of the tour cost as advance at the time of booking of the package .25% after one week on raising the Package Voucher. Balance 25% to PAY on arrival at Cochin.. The advance of 50% payment is inclusive of Rs. 20,000/- that is the NON REFUNDABLE , deposit towards incidental expenses for blocking vehicles, guides, hotel rooms etc.. . Once the booking is confirmed, any cancellation or amendment is chargeable. 1. 45-31 Days prior to Tour 55% of the cost will be refunded. 2. 30-16 Days prior to Tour only 20% of the cost will be refunded. 3. Less than 15 days or NO SHOW 100% will be Non Refundable. 2. Cost valid for the Tour from Cochin on Day1 back to Cochin on Day 12. Kochi - 682 020, Kerala, India.